Residential window tinting has a lot of benefits to Central Coast locals. 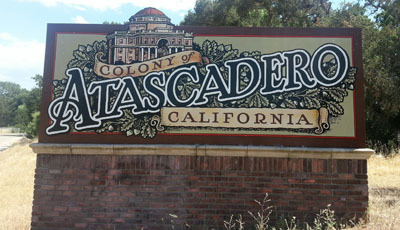 Atascadero and the rest of our Central Coast, is a wonderful place to call home. We have beautiful weather most of the year, with sunshine being our norm. While we love the sunshine, it can also cause damage, with UV rays being harmful to people and deteriorating home interiors. As much as we enjoy our sunshine, it can make our homes uncomfortable from the excessive heat and glare. Maybe you avoid a particular room or part of the house during certain times, because the sunshine is streaming in through an exposed window. Apex home window tinting will solve that problem and make each room more comfortable to enjoy! The sun’s powerful UV rays can cause discoloring and fading to much of your home’s furniture, wood flooring, carpets, draperies, and more. Replacement can be costly and may even devalue your home. Even our own skin can be harmed by UV rays. Many of us know someone who has been affected by cancer, or dealt with it ourselves. Melanoma is the most common form of cancer, and evidence says UV radiation plays a big part in it. Maybe you are good about applying sunscreen when you go out, but don’t think about the UV rays which reach us while indoors, through unprotected glass windows! Residential window tinting film for your home will help reduce UV rays significantly, protecting you and your home’s interior. In home safety is also priority for many. Apex Residential window films will help keep glass fragments together in case of a broken window, protecting the people in the room from flying glass pieces. A child’s room or nursery would benefit from this protection. Apex also carries a wide array of security films which range in thickness from 4 mil. to 15 mil. helping give you some peace of mind. If someone tries to break into a home window with security film, they will find it more difficult and it will take them longer. While nothing can completely prevent a determined thief, professionally installed security film will slow them down. Every second matters if you are waiting for help. Many people worry that home window tinting will darken their rooms too much. It’s a common misconception. But window tinting doesn’t need to be dark in order to be effective. Advancements in technology have eliminated this concern. A healthy balance of natural light and solar protection is what we specialize in at Apex Tinting! Your home will feel better and look great too! Our product line includes options that cut very little visible light, and are still able to reduce UV rays by up to 99%. Apex window tinting film will also dramatically reduce the heat build-up in your home also, which can save money on your residential energy costs. We specialize in many types of decorative window tinting films too. If you have windows that look out to an ugly view, or desire more privacy, we have decorative solutions! Among our selections are opaque, frosted and one-way window tinting films. We can take care of your residential tinting options for your Atascadero home or even office!